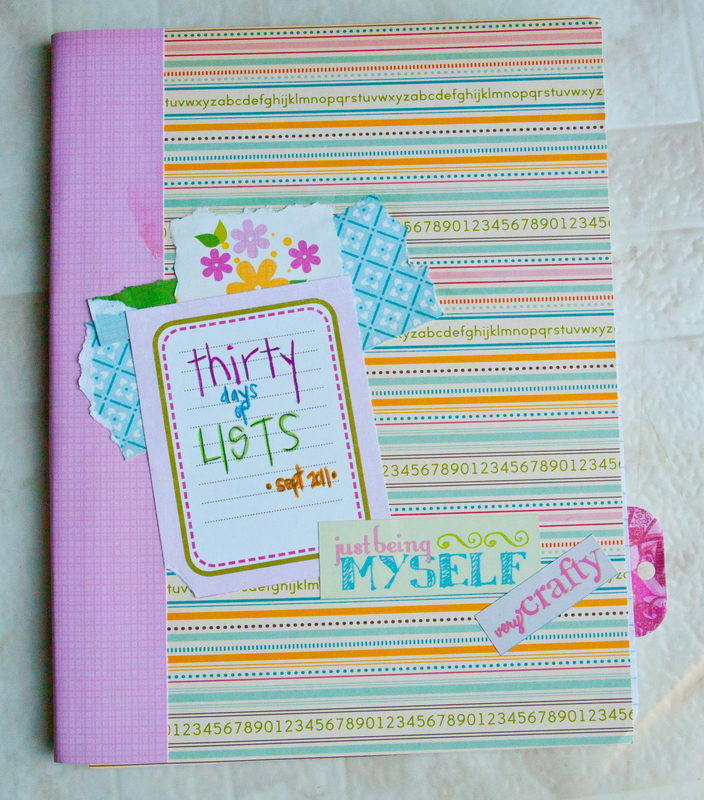 30 days of lists is back again for september and as always…i’m late to the party. never can seem to jump on the wagon as soon as everyone else does…but hey…i’m all in now! last time i sketched some of my lists and really loved doing that. 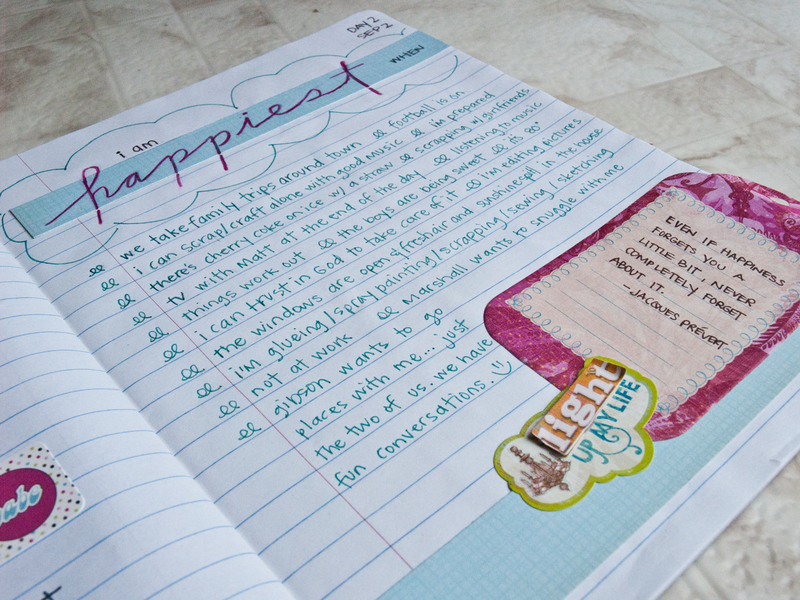 loved the freedom, loved the cleanliness of the white paper and the black sharpie. mmmm…makes me feel good. this year i wanted to do an actual book, not just sheets of paper. i happen to love office supplies and notebooks and had a few composition books in my stash. 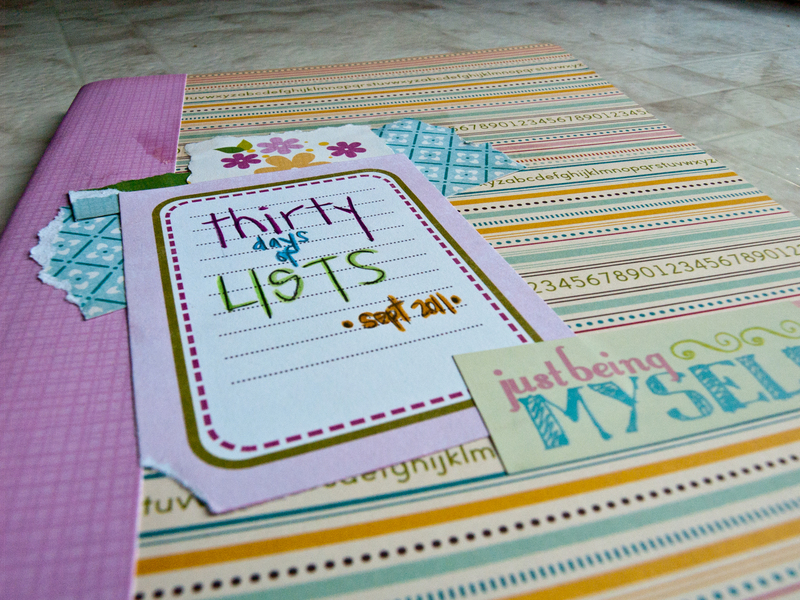 it was half full of paper, just enough to do 30 days of lists! this is the cover…obviously. covered it with scraps from my stash. i didn’t buy anything new for this project besides the $6 it costs to register. i’ve finished another 2 days tonight and will post over the weekend. i’m having a blast! 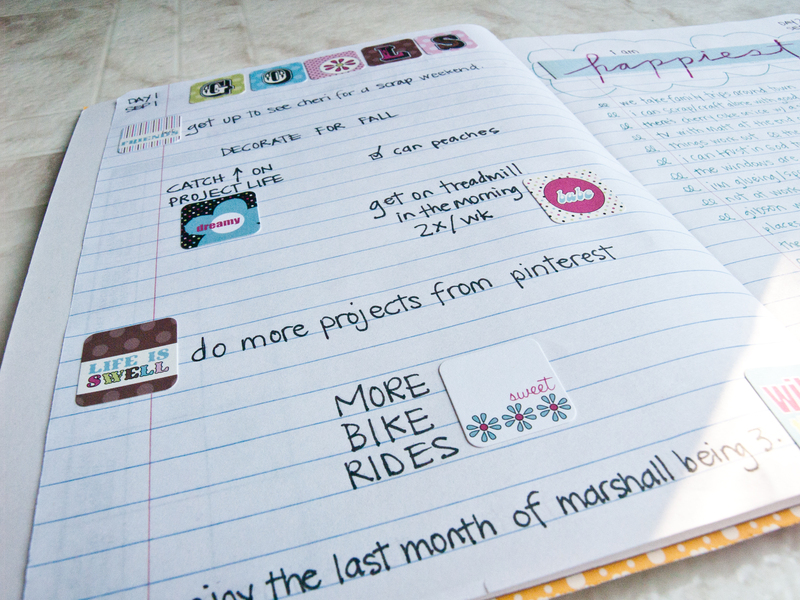 do you love lists too? come and join the fun!